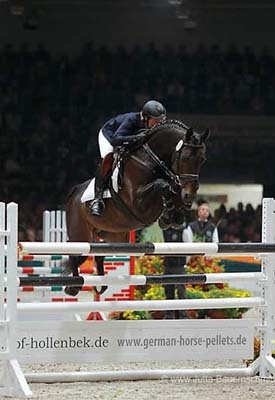 Tzigane has proven himself as a sporthorse and sire of sporthorses. Winning at 1.45M jumpers in U.S. and successfully competing to CSI2* in Germany under Inga Czwalina. But the real measure of a stallion is his record as a sire – and Tzigane’s is remarkable. 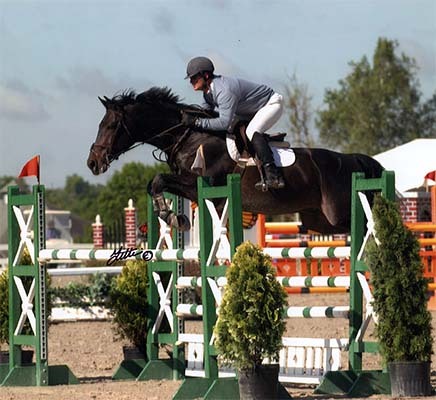 Among the 20+ offspring Eventing, son Harry Houdini *Pb* has competed at CCI1* in the US and CCI2* in Germany, daughter Sayyida competed to CCI1* and was featured in EN’s Got Talent “How to Score a 14 in a Prelim dressage test”, son Overlord (Tanqueray) competing HC at the YEH-4 West Coast Championships scored 79.80 (1.75pts higher than the Champion). 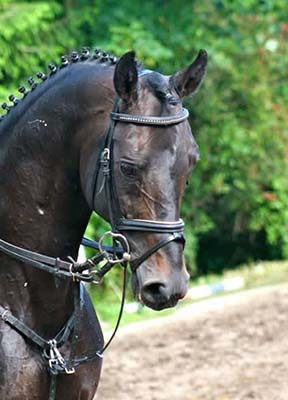 In Germany, another 4yo son Rhapsody was selected as “one to watch in the future” during a Verband’s Eventing Talent search. 13 Tzigane foals were inspected his first year in Germany by the Verband, Breed Director Lars Gehrmann noted he “improved the hip of every foal; all demonstrated particularly good walks from their powerful hindquarters”. Approved for the ATA and Trakehner Verband, foals are eligible for inspection by most U.S. registries. 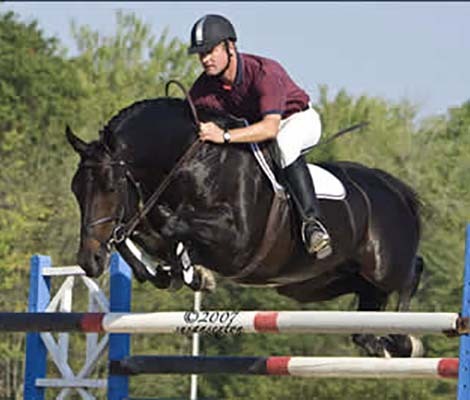 In 2017, son Dickens HR was approved as an ISR/Oldenburg breeding stallion with the outstanding score of “9” for jumping ability. Breeding Notes: Standing at Antares Trakehners.